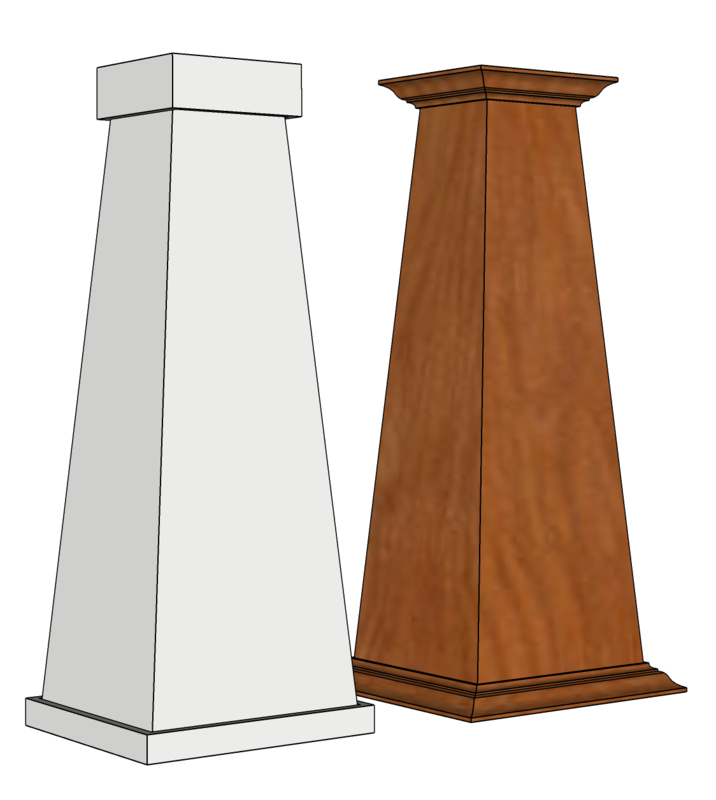 6/12 Wood, Tapered Columns are a great alternative to Non-Tapered columns which are more common. Our Wood Craftsman or Arts and Crafts column wraps are made to wrap around an existing post support, or they can be free standing. They are not load bearing. They can be ordered in MDF, or in a variety stain-grade wood species and are quick and easy to install and paintable or stainable. 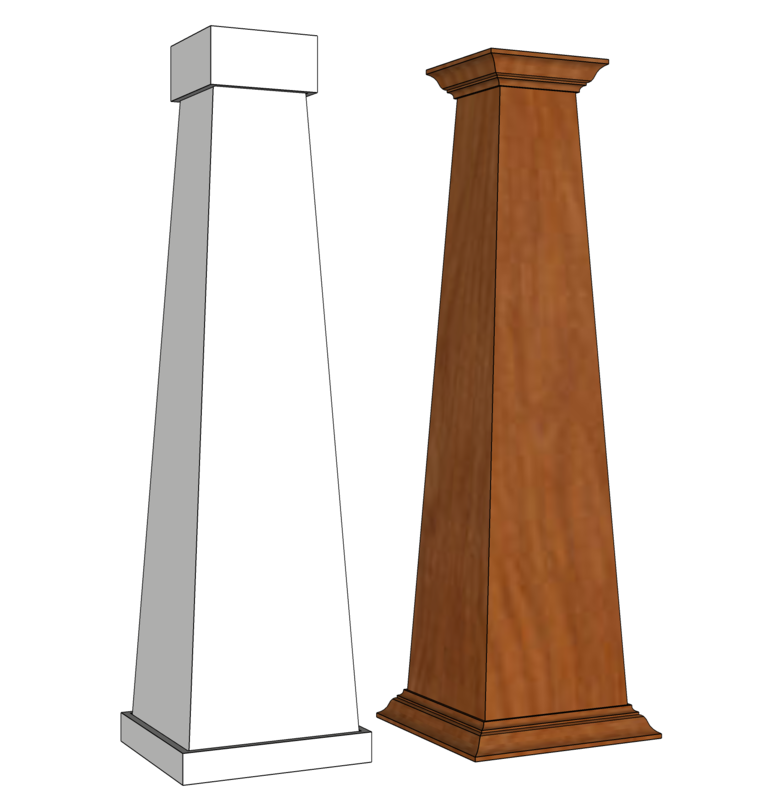 8/12 Wood, Tapered Columns are a great alternative to Non-Tapered columns which are more common. Our Wood Craftsman or Arts and Crafts column wraps are made to wrap around an existing post support, or they can be free standing. They are not load bearing. They can be ordered in MDF, or in a variety stain-grade wood species and are quick and easy to install and paintable or stainable. 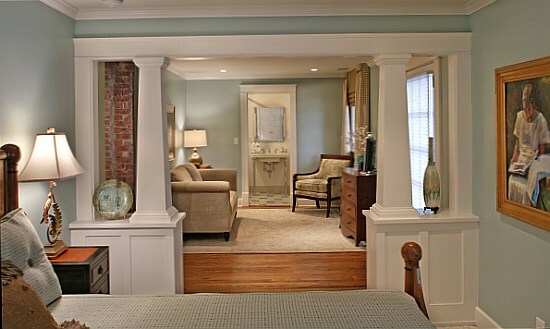 10/16 Wood, Tapered Columns are a great alternative to Non-Tapered columns which are more common. Our Wood Craftsman or Arts and Crafts column wraps are made to wrap around an existing post support, or they can be free standing. They are not load bearing. They can be ordered in MDF, or in a variety stain-grade wood species and are quick and easy to install and paintable or stainable.